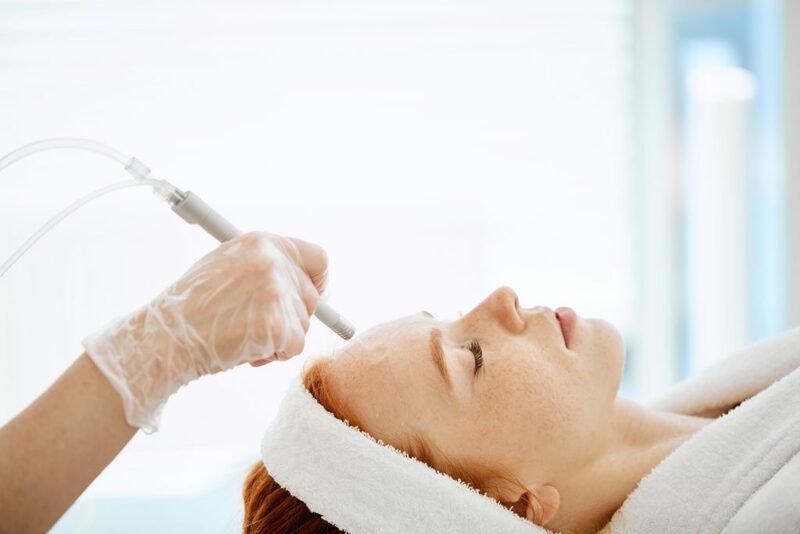 Skin resurfacing procedures are reserved for patients who wish to achieve smoother and more youthful skin using external treatment methods, such as chemical peels and lasers. Each type and degree of resurfacing method offer varying benefits and results, some of which can last up to 10 years. Skin resurfacing is most often used to treat skin on the face, but may also be used in other areas of the body, such as the hands and neck. that laser skin resurfacing is growing in popularity among adults? Laser skin resurfacing – also known as a laser peel — uses pulsed beams of light to penetrate the skin and removed damaged areas layer by layer. The laser beam is very precise and reduces instances of hyperpigmentation that are often associated with other types of skin resurfacing procedures. Laser resurfacing is especially beneficial for use in areas of the skin that are considered delicate, such as on the face. What should I expect during a skin resurfacing treatment? Your experience will vary depending on the type of skin resurfacing treatment you undergo. Deep resurfacing may require sedation or local anesthesia whereas light resurfacing is usually tolerable without pain management. Your skin will be cleaned and the outer layers removed using a chemical or energy-based method. Chemical peels require a chemical to be brushed onto the skin and left for between 10 minutes and 2 hours. Laser treatments can also take up to 2 hours depending on the extent of the area to be treated. In most cases, patients are prescribed pain medication and sent home the same day as treatment. Yes. If you have a light resurfacing treatment, you will experience redness and irritation for several days following the procedure. More in depth resurfacing treatments may cause crusting, redness and discomfort for several weeks or months though the results of these procedures last the longest. Your doctor will provide instructions for wearing sunscreen and avoiding makeup while your skin heals during the recovery period.